Monarch Air Group provides private air charter in Olathe, KS. Our clients benefit from top-notch service, unrelenting dedication to safety, wide selection of aircraft, and years of experience in chartering private jets. To obtain a free quote, please use our online quoting tool provided below, or call toll free 1-877-281-3051. Monarch Air Group provides private jet charter flights in and out of Olathe, Kansas, USA. Olathe is an industrial city in northeastern Kansas, southwest of Kansas City. It has a total area of 60.42 square miles and a population of 125,872 people. Olathe is the 5th most populous city in the state and 4th largest city in the Kansas City Metropolitan Area. In 2008, Olathe was ranked by the US Census Bureau as the 24th fastest-growing city in the nation. The most notable points of interest include Mahaffie Stagecoach Stop & Farm Historic Site, Sadlers Indoor Racing, AMC Studio 30, and some others. The nearest airport is Kansas City International Airport (MCI / KMCI), which is located 42 miles from the center of Olathe. 1. BUM, Butler, Butler, United States. 2. FLV, Sherman AAF, Fort Leavenworth, United States. 3. FOE, Forbes Field, Topeka, KS, United States. 4. GVW, Richards-Gebaur, Grandview, United States. 5. JCI, New Century Aircenter Airport, Olathe, KS, United States. 6. 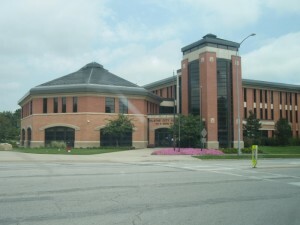 KCK, Fairfax Municipal, Kansas City, United States. 7. LWC, Lawrence, Lawrence, United States. 8. MCI, Kansas City International Airport, Kansas City, United States. 9. MKC, Downtown, Kansas City, United States. 10. OJC, Johnson Executive, Kansas City, United States. 11. STJ, Rosecrans Memorial, St Joseph, United States. 12. SZL, Whiteman AFB, Warrensburg, United States. 13. TOP, Philip Billard, Topeka, United States. 1. Holiday Inn Hotel Olathe, 101 West 151st Street, Olathe. 2. Holiday Inn Hotel Olathe, 101 West 151st Street, Olathe. 3. Holiday Inn Hotel Olathe, 101 West 151st Street, Olathe.